A while back I started a 2,000 round review of the Gen5 Glock 17 on my YouTube channel, which as of last week is at an end. Before we dive into the guts of the review and what makes the Gen5 Glock tick, let’s discuss the scoring criteria of all our gun reviews. Like our 1911 Rating System, all guns start with a perfect score of 100, and lose points during the course of the 2,000 round test for any issues encountered. -1 point for any failure to complete the cycle of operations, -5 points for any minor issue that could be corrected at the armorer level, and of course -50 points for any major parts breakage that stops the gun entirely. How did the Gen5 Glock 17 do? The first thing to understand about the new Gen5 Glock is that while it resembles the older Gen4 and Gen3 models, quite a lot has changed in the new gun. Yes, obviously there is the lack of finger grooves on the new gun, but internally the gun is almost entirely new. Gone is the crappy paper clip spring that used to hold the slidestop in place (and that broke all the time), replaced by a proper coil spring that functions the new ambidextrous slidestop. The ambi slidestop is nice too, as it allows true left handed function of the Glock. The trigger spring has been moved and changed, the safety plunger changed in shape, even the design of the locking block has changed. The other obvious change is the flared magazine well, which actually isn’t a good change and we’ll address that later. Most of the parts from the Gen4 guns won’t interchange with Gen5 guns, so if you’re deeply invested in the Gen4 aftermarket, maybe hold off for a while on the Gen5. Now let’s talk mechanical performance. Like all test guns, I pulled the Gen5 Glock 17 out of the box, removed the packing grease, and lubricated the gun using Lucas Gun oil and grease. The test lasted from September 5th, 2017 until November 2nd, over that time the gun fired 7 different brands of ammo, was used in the latter half of an Ernest Langdon class I attended, and was also my every day carry gun. 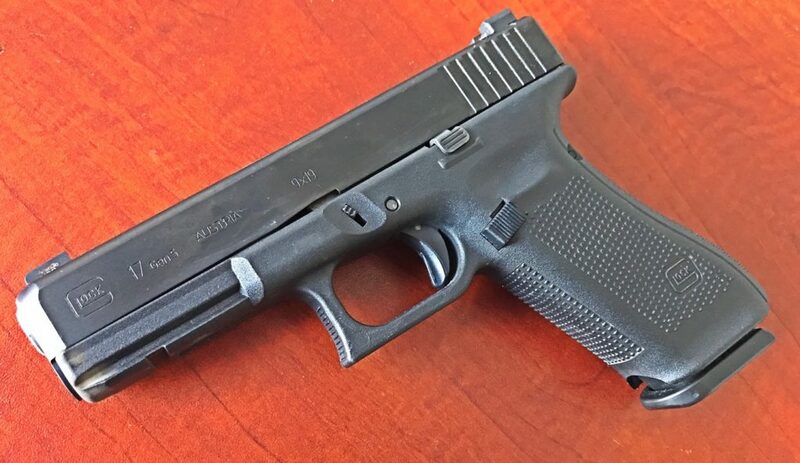 The Gen5 Glock 17 had three failures to complete the cycle of operations, all of which were failures to extract with Hornady Steel Match 9mm ammo, also during a 200 round test the front sight, which was a factory installed Ameriglo, flew off the gun. That gives the Gen5 Glock 17 a final score of 92/100, which is still a solid A. I decided to dock it for the FTE with the Steel Match ammo since none of the other guns I ran that ammo through experienced any issues extracting it. Personally, the Gen5 is fine, and in most respects is probably a better choice out of the box than the Gen4 or the Gen3; however this is one feature I really don’t like: the flared magazine well. It’s actually worse than the standard magwell on a Gen4 gun. On the right you have the standard Gen4 magazine well, and on the left the Gen5 magazine well. 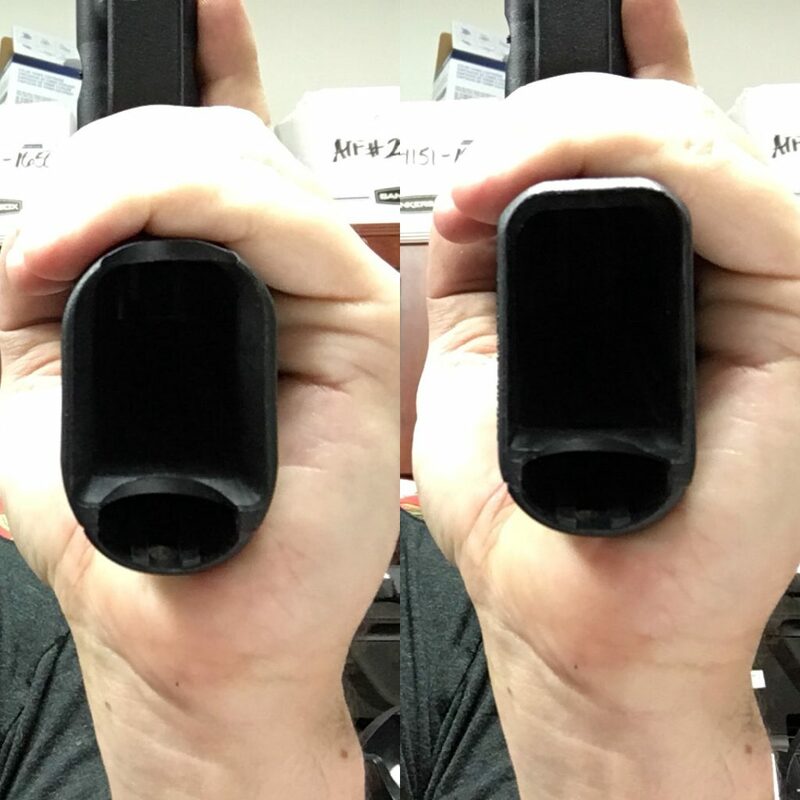 Because the Gen5 magwell has that cut-out in the front to allow easily stripping fouled magazines in the event of a double feed, the forward wall of the magazine is actually thicker than it is on the Gen4. The flared part of the magazine well is only flared on the sides, which is sort of pointless since you’re already inserting the narrow, tapered part of the magazine into the magwell. The important part of an enlarged magazine well is the front and the back, where the squared off edges of the magazine and the magwell are most likely to smash into each other and slow your reloads down. The Gen5 magazine well is actually smaller front to back than the Gen4, and when I was working reloads both during classes and dry fire, I did run into some issues because of this. Nothing that can’t be overcome with training, but it’s a good example of how a feature that seems good on the surface can be poorly executed. Where does that leave us with the Gen5 Glock 17? Is it good? Yes, of course it’s good. It’s excellent, and it’s probably the best Glock 17 that Glock has produced since the Gen2 guns. Should you throw all your Gen4 guns in the trash and buy one immediately? I mean, as a firearms retailer, yes absolutely you should. But the truth is that unless you really hate finger grooves or are really interested in getting the latest and greatest iPhone Glock then there’s not a huge reason to upgrade right now. Eventually when the Gen4 gets phased out, sure. Buy one then. Or buy one now, because it is a solid gun. Verdict: It’s better than the other generations of Glock 17, but not so much better as to ditch your old guns for it. You mentioned “as of last week, is at an end”. Is that the review, or your YouTube Channel? The review. I’ll still keep doing youtube videos, but they’ll focus more on jokes than quality content. 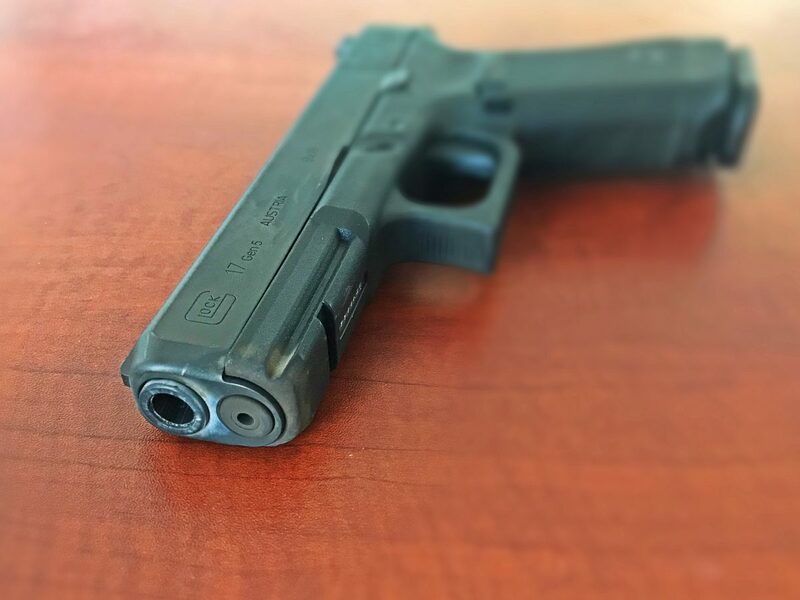 Have an opinion on gen5 Glocks vs cz p10c? I have never even touched a P10, so I can honestly say I don’t have an opinion. Nor do I particularly care to have an opinion, because I’m kind of over striker fired guns.